Click ‘Install Now’ and then activate, you’ve now installed Ninja Forms and will have a ‘Forms’ section within your admin menu which can be used to create your Forms and monitor ‘submissions’ to those forms. A ‘Contact Us’ form is automatically generated when Ninja Forms is activated which you can use for your waitlists if preferred, in this example, we will create our own form specifically for capturing details of users wanting to be added to the waitlist. however, your ID may be different so be sure to use the correct number for your form. If you can not see those fields check they are enabled within the screen options at the top of the page. 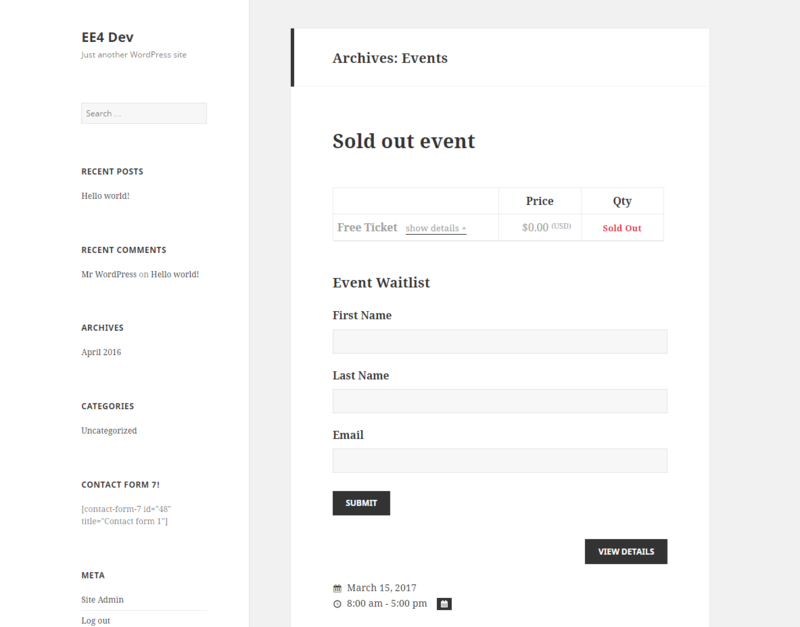 You can now capture any details from users interested in your sold out events, view their submissions and either manually add them to the event if space becomes available or send them details of another similar event to see if they would like to register onto that.